In October 2011, Sony agreed to buy Sony Ericsson’s half a part of the company for just over 1 billion €. Ion Xperia, Sony Ericsson’s first smartphone from Sony for the LTE 4g network, in exclusive partnership with AT & T, the S is the first Xperia smartphone in NXT Series Sony HD technology. Xperia Acro HD, the sequel to Acro, and Xperia NX, a variety of Xperia S, both for the Japanese market. 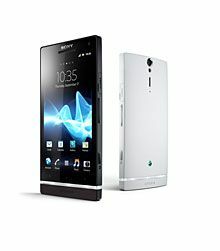 Xperia S will be available to consumers worldwide from the first quarter of 2012 and Xperia Ion will be available in U.S. via AT & T in the second quarter. Xperia and Xperia Acro NX HD will be available in Japan in the spring, it appears. “CES marks a major milestone for both Sony Ericsson and Sony with the introduction of the first smart phone from Sony,” writes Bert Nordberg, CEO of Sony Ericsson.